Costa Rica is safe! We never felt unsafe in the country at all. Unlike some other Latin American countries, the political history in Costa Rica is quite stable and has been for decades. In fact, the government actually abolished the military in 1948! Additionally, the government really seems to have protection of children in mind (we even saw signs in airports and such relating to that). Plus since tourism is a HUGE part of the country’s economy, we were welcomed by everyone we encountered. Many people speak both Spanish & English. Let’s face it, traveling with kids can be stressful. It’s even more stressful when there is a language barrier. While traveling in Costa Rica, we learned from our AWESOME tour guide that English is actually taught in schools there. The overwhelming majority of people we encountered could speak at least some English. So, if you combine that with some basic Spanish skills (which I had), it made for really easy communication! The food! 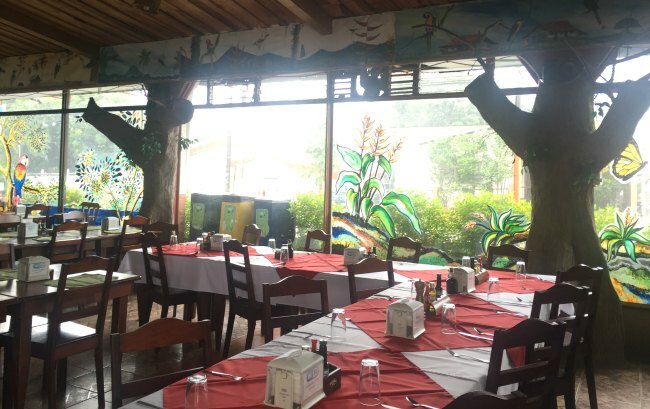 Costa Rican food is DELICIOUS! And it’s not spicy at all, which is good for most families with little kids. Even the pickiest of little eaters should be able to find something to eat! Rice is available at almost every meal, which is often a win with kids. Items like beans or picadillo de chayote are easy to mash up for babies and the little toddlers. Plus, the fresh fruit there is absolutely incredible!! Fresh fruit juices (like this Batido de Sandía) abound, as do fresh fruit smoothies. And, at one hotel, we had THE BEST banana bread we’ve ever had! Plus many hotels and resorts have kid-friendly favorites like cereal, yogurt, etc. So, the food there is definitely kid-friendly! The water is safe! 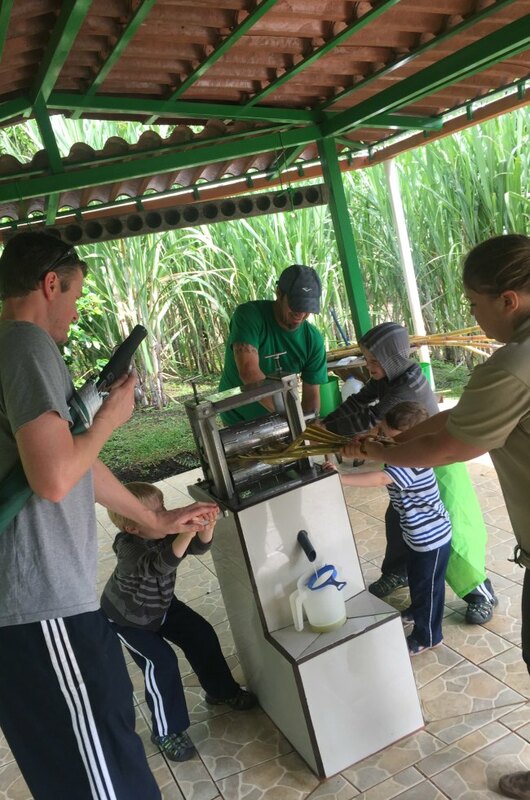 Just about anywhere normal tourists would go (especially those traveling with little ones), has safe & clean drinking water. We weren’t concerned about this in any areas where we were. Though, if you did have any concerns or kiddos with sensitive stomachs, bottled water was VERY easy to come by (available for purchase at most Sodas, stores, and even many hotels). There are adventures for EVERY age! 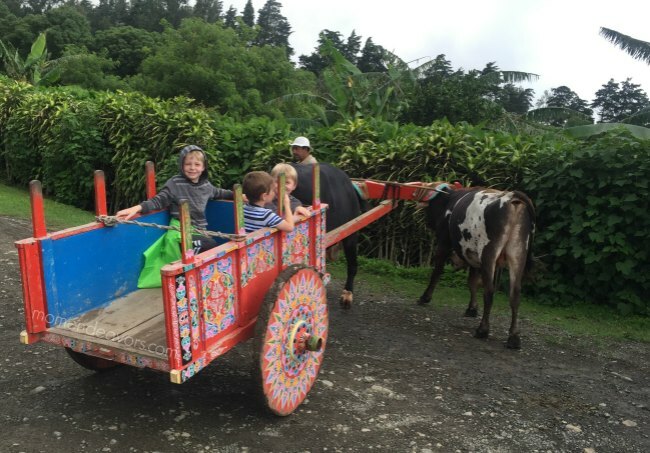 Even if your kids are too young for traditional adventure activities, there are plenty of incredible things in Costa Rica suitable for every age! 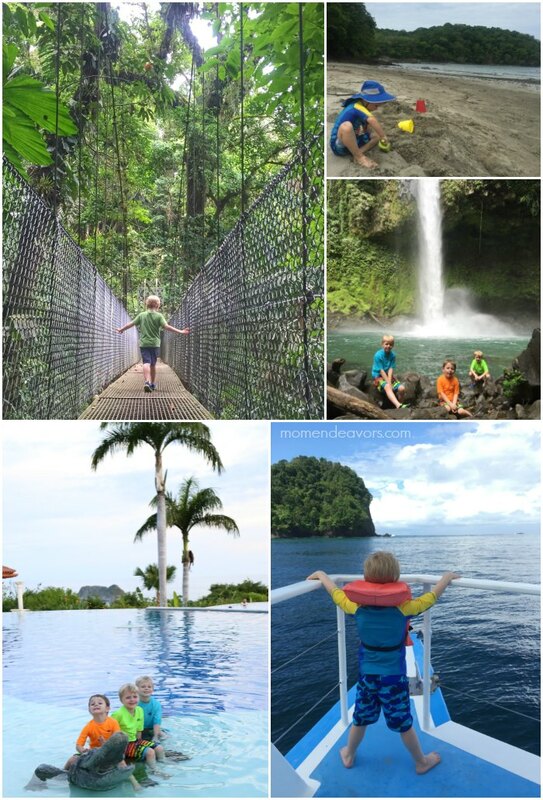 We hiked through the rainforest, saw some of the most incredible animals, took beautiful boat rides, walked on hanging bridges, and played on fantastic family-friendly beaches! At many of these places we saw families with babies too! My biggest tip is to just be sure to have a carrier! 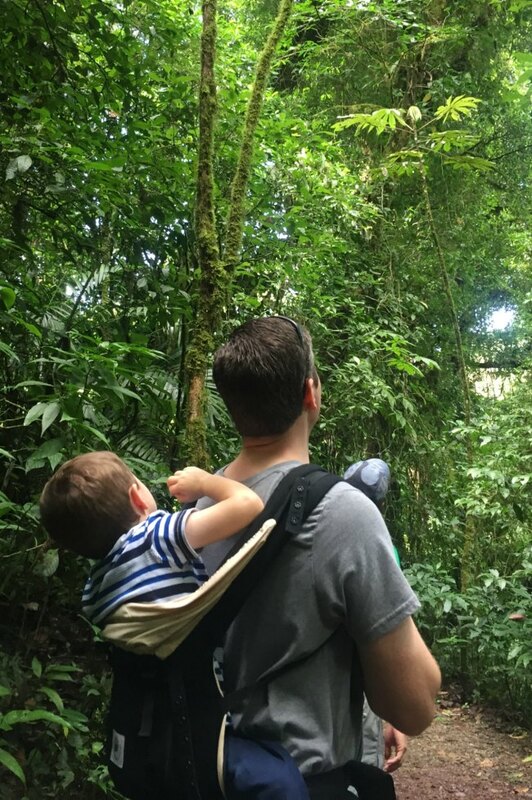 Our Ergobaby carrier (affiliate link) was a MUST on this trip! Our 3-year-old was still well within the weight requirements for it, so it was REALLY useful! In fact, I think we used it every single day and it’s what allowed us to still do some amazing hikes even with a little guy in tow. So many magical memories made!!! 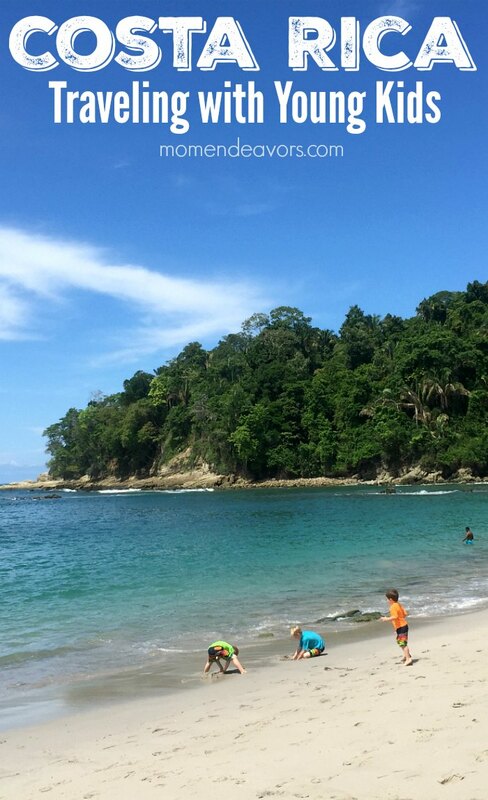 We HIGHLY recommend this destination for families, even with the youngest of travelers! I love your site! Thanks for all the tips..
how easy do you think it would be travelling with kids age 3 and 5 during June – August (wet season)..? Might it be a bit easier for older kids? We basically want to travel to someplace in the world for 2 or 3 months and are deciding between here and Bali! We traveled the 1st two weeks of June and it was wonderful!!! There was plenty for our 3 & 5 year olds to do. I can’t speak about July & August as I haven’t been during that time. But we were VERY impressed with the country, the people, and all there is to see!